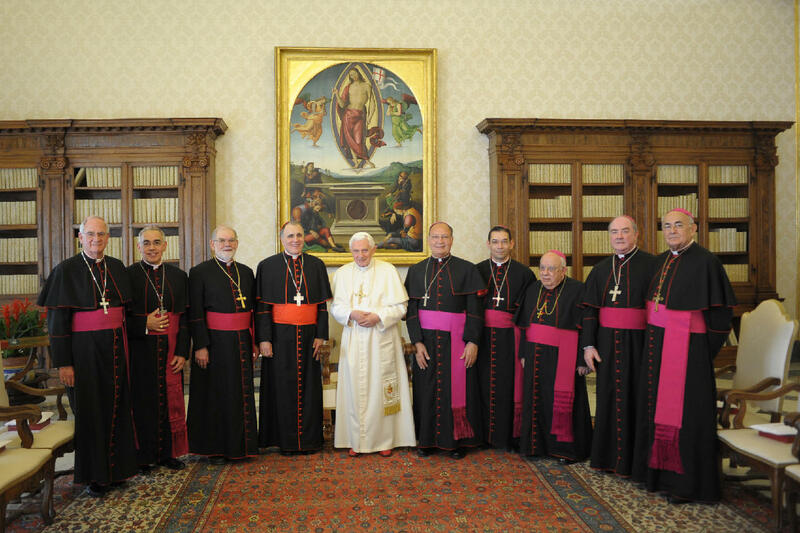 The following photos are from the Region X Bishops’ visit with our Holy Father, Pope Bendict XVI on 15 March 2012. 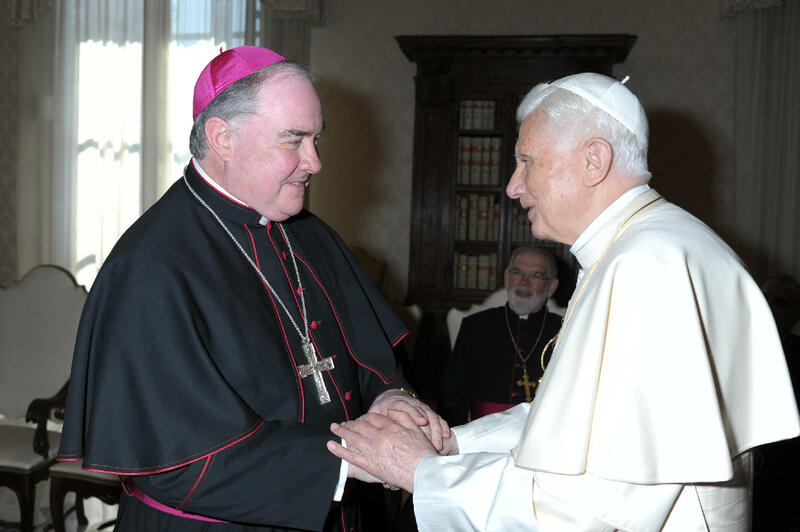 This was truly a joyous day to be able to sit and ‘chat’ with the Successor of St. Peter. 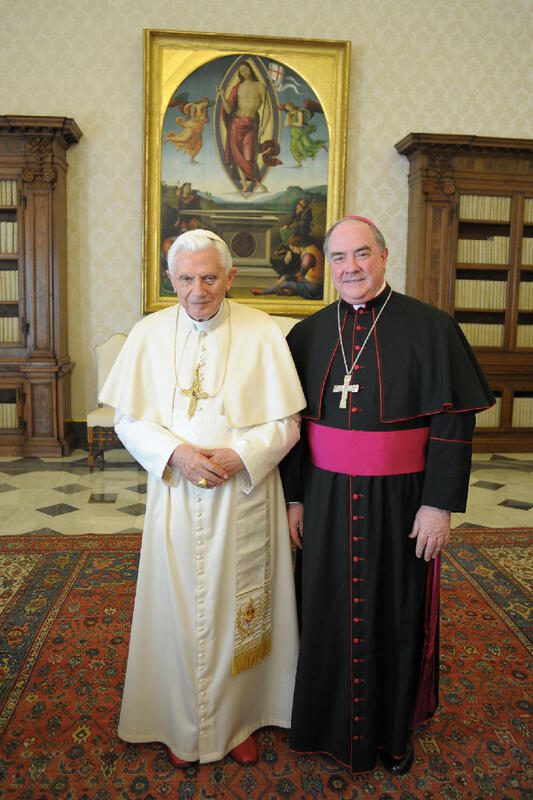 The Pope was so gracious and cheerful about the many things we are doing in our various dioceses. He congratulated our efforts. 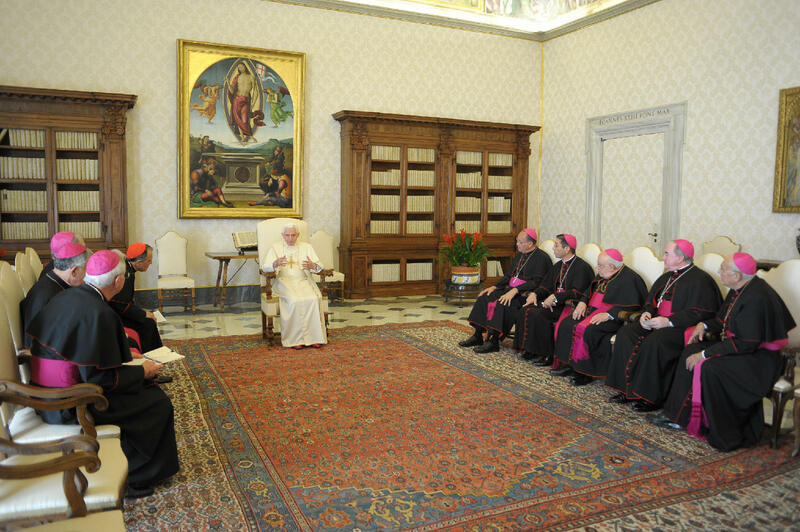 We each had the opportunity to make a brief presentation to the Holy Father. In order not to duplicate messages, we split up the topics to be presented. I chose to present the topic of “The Use of Social Media in promoting the New Evangelization.” This particular topic struck a chord with him…considering he recently launched a new mobile site of the Vatican web via an ipad. This is the audience with the Holy Father and the Bishops of the Galveston-Houston Province. This entry was posted in Ad Limina Apostolorum 2012. Bookmark the permalink.